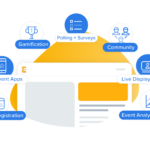 EventsMo brings your event to life in the palm of the hand, delivering an engaging experience that will leave attendees fulfilled, fully connected, and eager to come back for more. Save thousands of dollars by switching to a digital event schedule that can be updated on the fly, and ensure that your attendees are always in the right place at the right time. Keeping track of event buzz is easy with the Activity Feed. This component gathers the latest posts from attendees, Announcements, and Schedule in one convenient place. Attendees control which content they want to see in their personal feed. Fully engage attendees in the moment with real-time polling and moderated discussions. 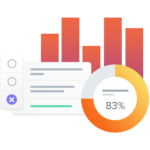 Give speakers complete control over audience feedback from within their PowerPoint presentation. EventsMo app is also very flexible and it was very easy to modify and add things at the last minute. 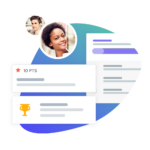 It was extremely convenient to have our agenda available at the tip of our fingers and send announcements and notifications to the group through the app. We will definitely use EventsMo again for our next event. EventsMo was so easy to set up, populate and use! It definitely reduced the last minute rush and stress. Everything was synced and helped us plan and communicate better. The attendees loved it and exceeded our expectations for usage.